Fairfield, Conn.– April 17, 2019 – The 2019 Intercollegiate Horse Show Association (IHSA) National Championship is set to kick off in Syracuse, New York, May 2-5. The New York State Expo Center will come alive with equestrian teams from across North America representing their colleges and universities in hunter seat equitation and Western horsemanship. Men and women will compete equally in a collegiate catch-ride format in divisions that range from the Walk-Trot through Open. Top riders will vie for the USEF/Cacchione Cup, the NRHA Individual Open Reining final and the AQHA Western High Point Rider national final. IHSA has assembled four highly-respected and experienced judges to officiate the event. Mary Babick serves as the USHJA president and chair of the USEF National Breeds and Disciplines Council. She also is an active member of several USHJA and USEF committees, including the USEF National Hunter Committee, the USHJA Sport Integrity Task Force, and the USHJA Emerging Athletes Program Committee. As a USEF “R” Hunter and Equitation judge and USHJA Certified Trainer, Babick frequently travels throughout the country to judge, teach clinics and act as volunteer coordinator for USHJA Emerging Athletes Program Regional Training Sessions. Babick has trained students and horses who have competed and won at zone and national level championships and competitions, including Devon, The Pennsylvania National, US Pony Finals, and the North American Junior and Young Rider Championships. She currently resides in Freehold, New Jersey, and operates out of Knightsbridge Farm in Middletown, New Jersey. Babick has served as a member of the USHJA board of directors since 2010, serving as the Hunter Discipline vice president and a member of the Executive Committee since 2012. Additionally, she has served on the Planning Committee, the Emerging Athletes Committee as well as chairing the Youth Committee. William Sparks, a native of San Antonio, began his riding career when he was just 10 years old. He competed successfully as a junior in the AHSA medal finals and the ASPCA Maclay finals. He was also a top-10 finisher nationally in the junior hunters. Sparks attended the University of Texas at Austin and earned a degree in International Business while continuing his showing success in the Amateur-Owner Hunters. At 25, William turned professional for Pine Hollow Farm, and then, Memorial Park Hunters in Houston. As a professional, clients achieved national success including Small and Medium Pony of the Year and reserve in Large Pony Hunters. Currently, Sparks judges approximately 30 shows a year including Pony Finals and the International Derby Finals. He has judged many equitation finals such as the CPHA Medal, Onondarko, Norcal, Zone 7 and NCEA Nationals. Kim Myers and Bob Kail will judge the Western divisions. Kim Meyers has been a judge for many years. 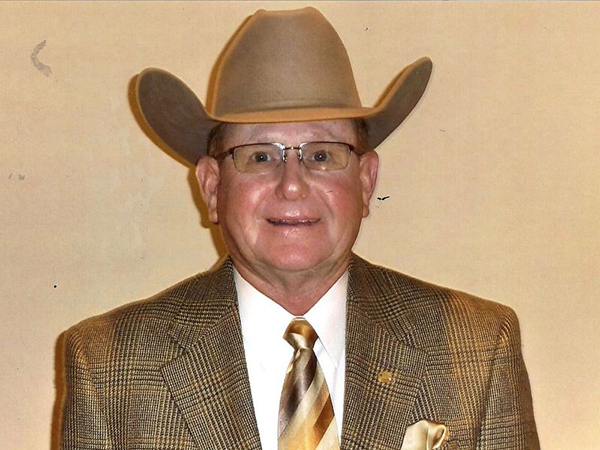 He has judged at major events such as the NSBA World Show and the AQHA World Show, the AQHYA World Show and the AGHA Bayer Select World Show, the All-American Quarter Horse Congress, the NRHA Futurity several times and the NRHA Derby. Currently, he holds his AQHA, NRHA, NSBA, APHA and USEF judges cards. Kim has had the opportunity to judge in many different countries, including Germany, Australia, Italy and Canada. Meyers and his wife Renee live in Felton, Pennsylvania. Together, they own and operate Kim and Renee Myers and Family Quarter Horses. They have been training and showing horses together for over 40 years and have trained and shown numerous World and Congress champions and many other notable titles. Bob Kail, has been a judge for 36 years. Kail holds cards for the AQHA, NRHA, NSBA, NRCHA and WCHA. He has judged many of the most prestigious shows, such as the Open and Amateur World shows, The Youth World, NRHA Futurity, NRHA Derby, NSBA World, The Reichert Celebration, The Tom Powers Futurity, The Little Futurity and the Iowa Breeders Halter Futurity. He has judged in Canada, Australia, Mexico and throughout South America. As a showman, he has won multiple World Championships in halter as well as numerous Congress and Futurity Championships, in the Western pleasure pen. He has trained and coached many World and Congress champions in the Youth and Amateur divisions and specializes in halter, western pleasure and all-around events. Time: Daily from approximately 8 a.m.-6 p.m.